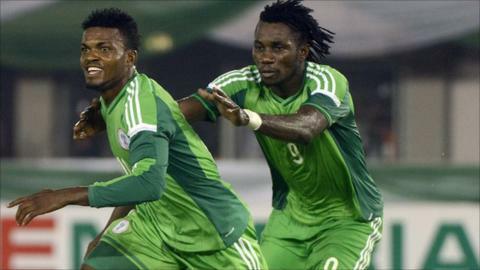 Nigeria's much trumpeted friendly against Brazil has hit the buffers. The development will reinforce suspicions that the match was never on in the first place. The NFF have insisted all along that the Super Eagles would meet the Brazilians on 29 March at the 30,000 capacity Akwa Ibom stadium in Uyo. But the former African champions will now clash with another South American side, Bolivia, on 26 March in Uyo. The four-time world champions will play Chile instead on 29 March. Nigeria hosted Brazil in 2003 in Abuja when the former world champions won 3-0. The game against Bolivia will help the Super Eagles prepare for the 2017 Africa Cup of Nations and the 2018 World Cup qualifiers. There is currently a lot of soul-searching going on in Nigeria after the team's failure to qualify for the recently ended Nations Cup in Equatorial Guinea. Coach Stephen Keshi's position is yet to be decided, much to the chagrin of Super Eagles fans. An NFF official was widely quoted in the local media as saying a deal is close that would see Keshi in charge on a permanent basis. But the man affectionately known as the Big Boss told the BBC World Service that nothing could be further from the truth. "I have not been offered a new contract by the NFF. "I was very surprised to hear that I am close to signing a new deal; there is no truth whatsoever in any of the reports." If selected, goalkeeper Vincent Enyeama will make his 100th appearance for the Super Eagles against the Bolivians.